The magic of the town wishing well can be yours! 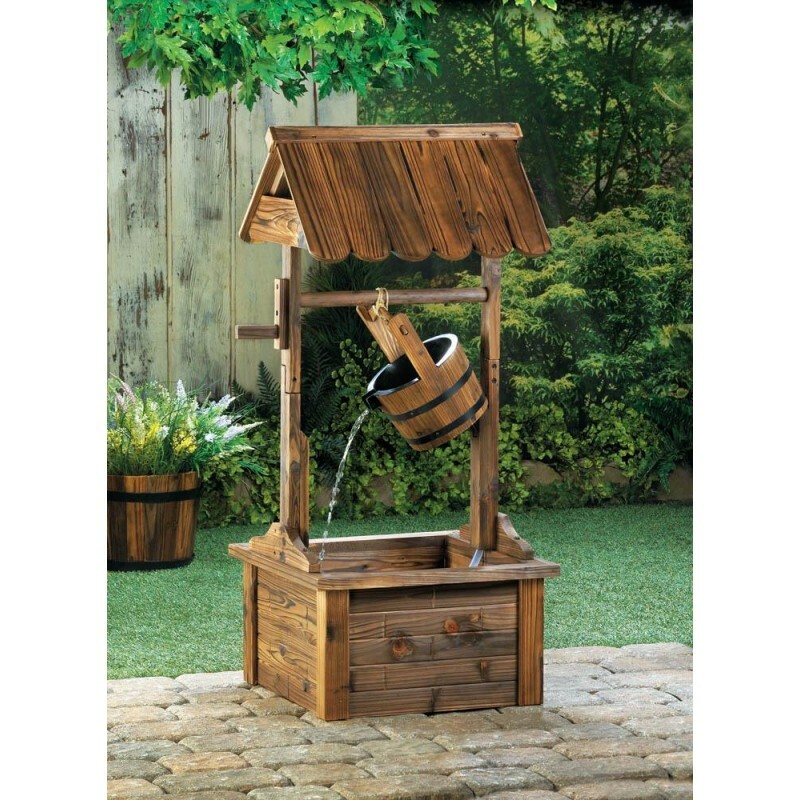 This incredible wooden outdoor fountain features a delightful design complete with a roofed well and metal-banded bucket that spouts water. It's the perfect finishing touch for your yard or garden! Weight 18 pounds. 19.6" x 19.6" x 44". Fir Wood.